We are professional expert window cleaners based in Lilydale in the beautiful Yarra Valley, about 35km out of Melbourne. 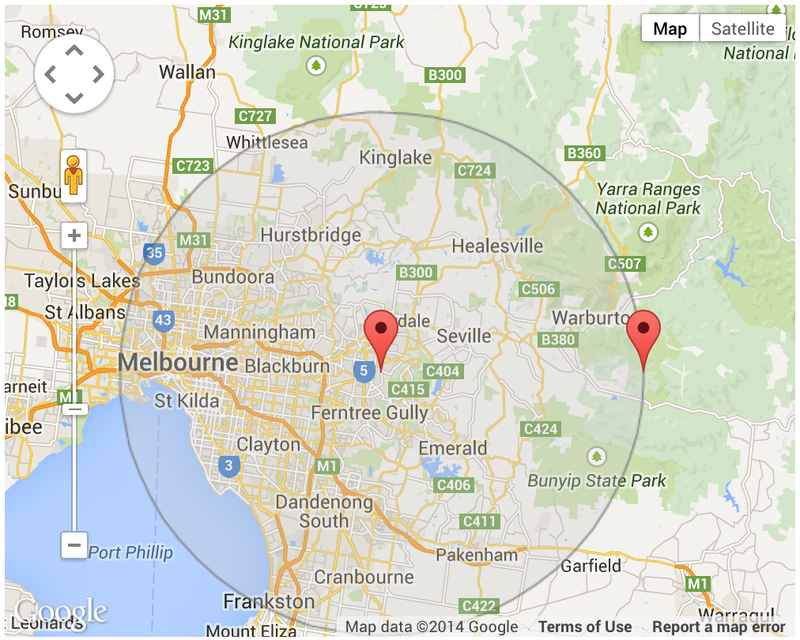 We service a wide area, including Inner Melbourne, Melbourne’s South Eastern suburbs and Melbourne’s Eastern suburbs. Some of our most popular suburbs we cover include: Lilydale, Mooroolbark, Kilsyth, Seville, Healesville, Yarra Glen, Wonga Park, Donvale, Croydon, Doncaster, Warrandyte, Melbourne, Kew, Mitcham, Chirnside Park, Ringwood, Bayswater, Nunawading, Bayswater North, Park Orchards, Templestowe, South Yarra, Toorak, Hawthorn, Canterbury, Box Hill, Waverly, Rowville, Knox and Ferntree Gully. The map below shows our general working radius. However we will consider work outside this area, so please feel free to contact us. We also provide our expert window cleaning services in North Eastern Victoria to the towns of Myrtleford, Porepunkah and Bright. Contact us for a quote now.View us on google and Facebook to see our customer’s reviews.